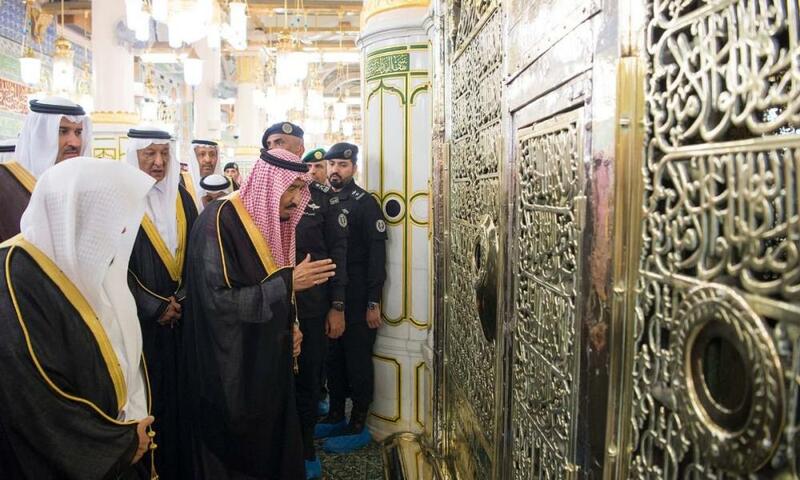 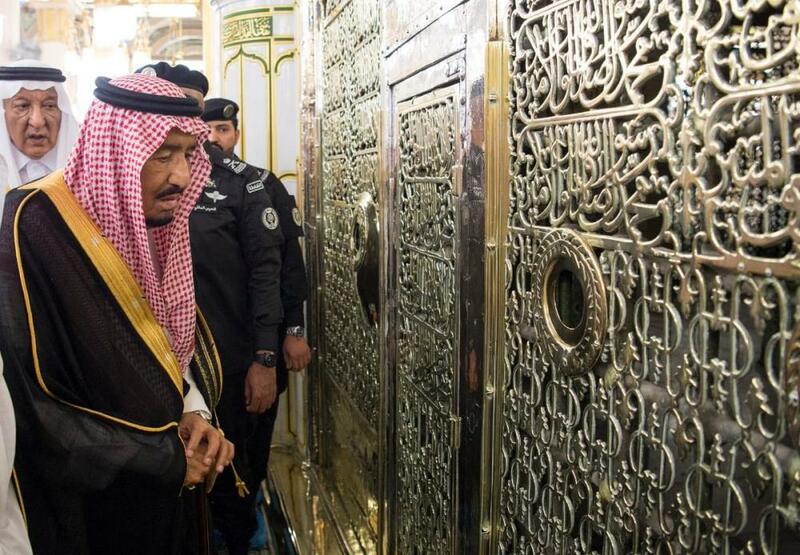 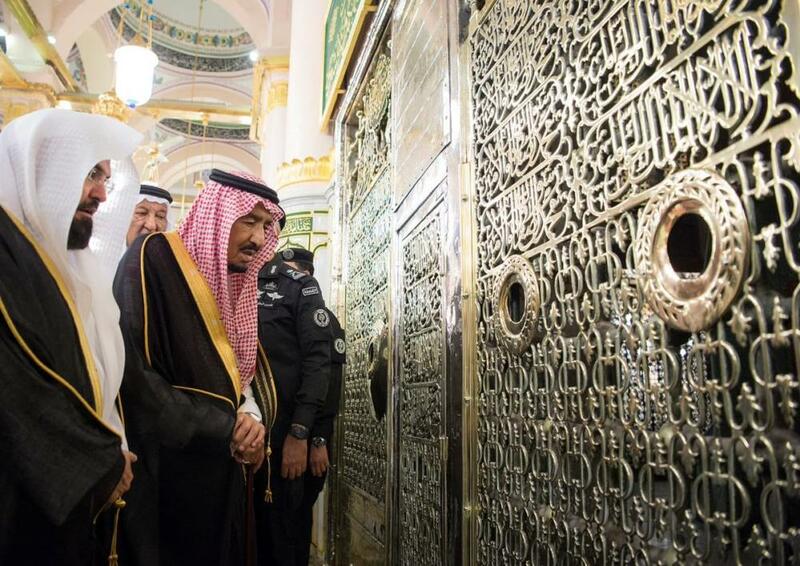 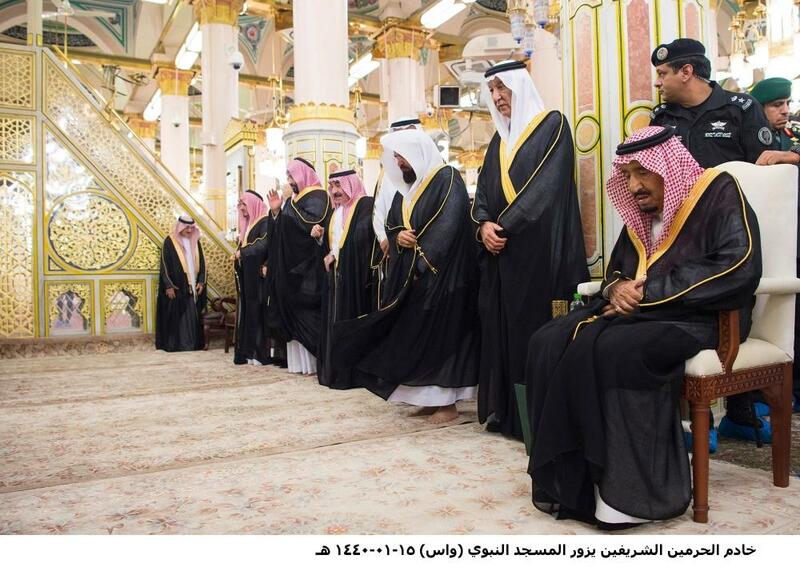 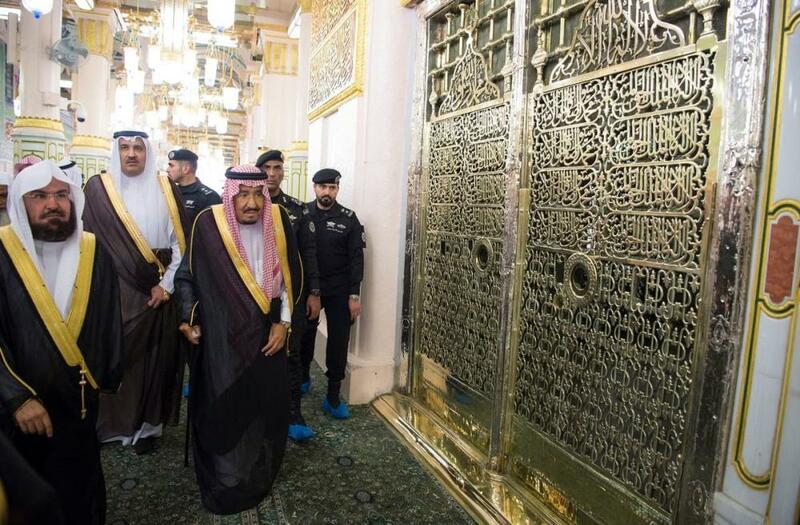 MADINAH - Custodian of the Two Holy Mosques King Salman visited the Prophet’s Mosque in Madinah on Tuesday evening. 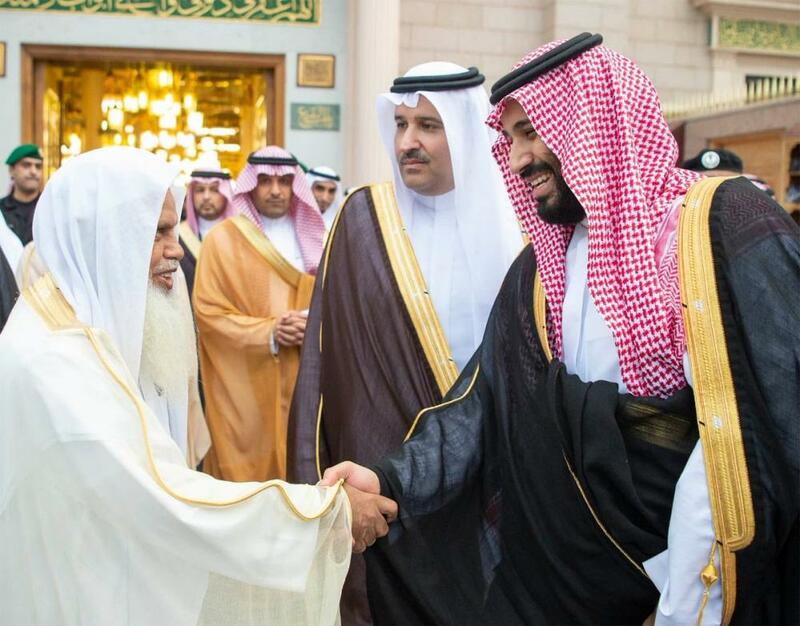 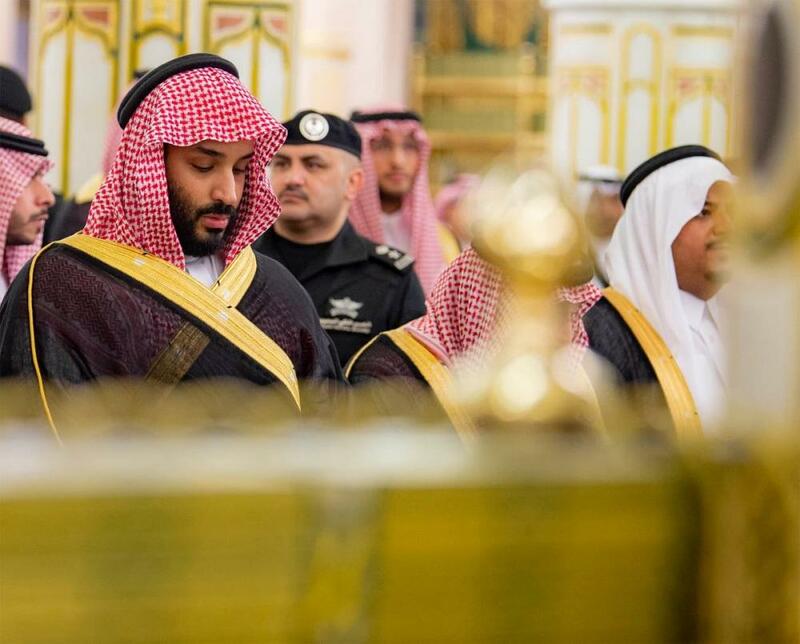 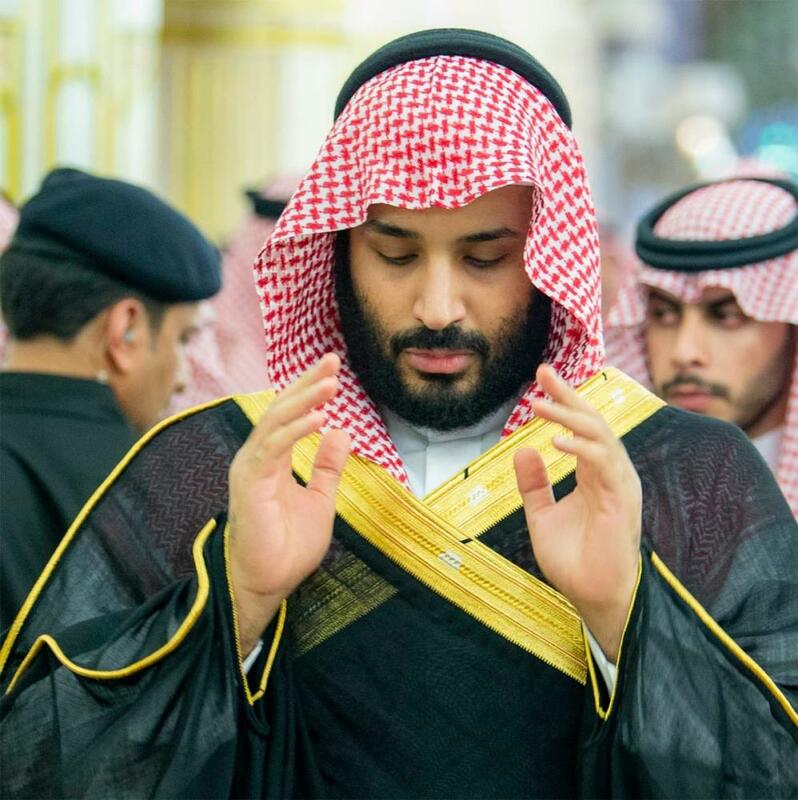 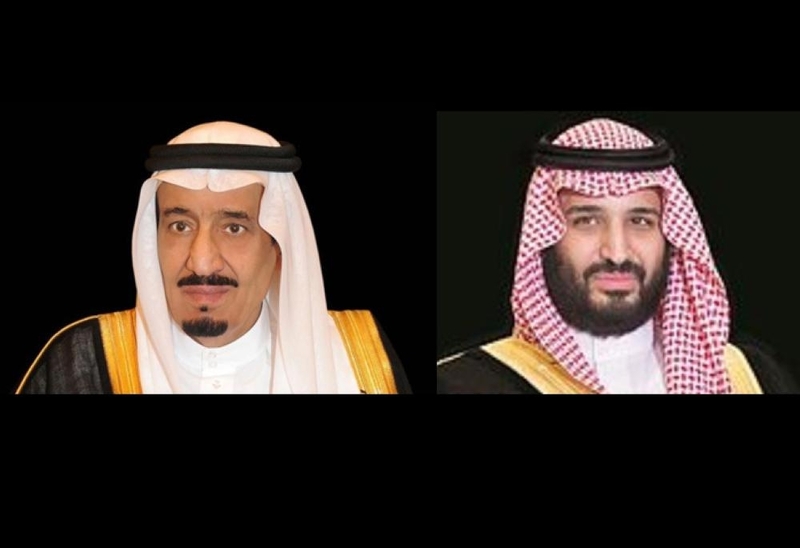 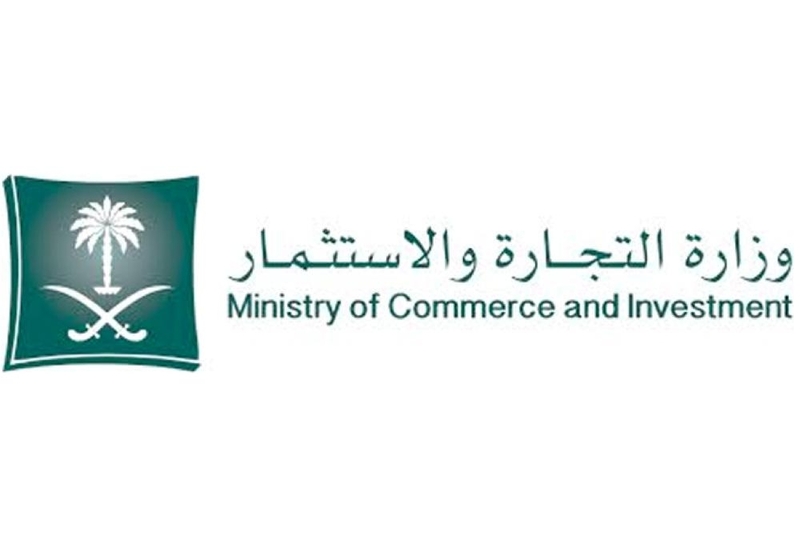 The monarch was accompanied by Crown Prince Muhammad Bin Salman, deputy premier and minister of defense, and Prince Faisal Bin Salman, emir of Madinah, during the visit to the holy mosque. 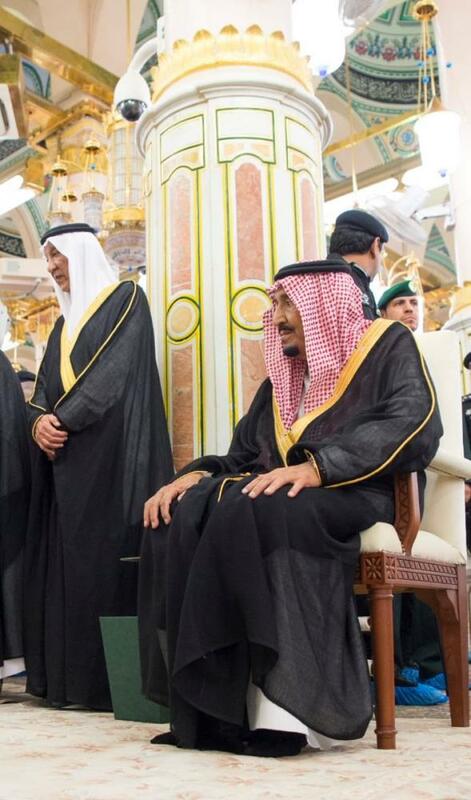 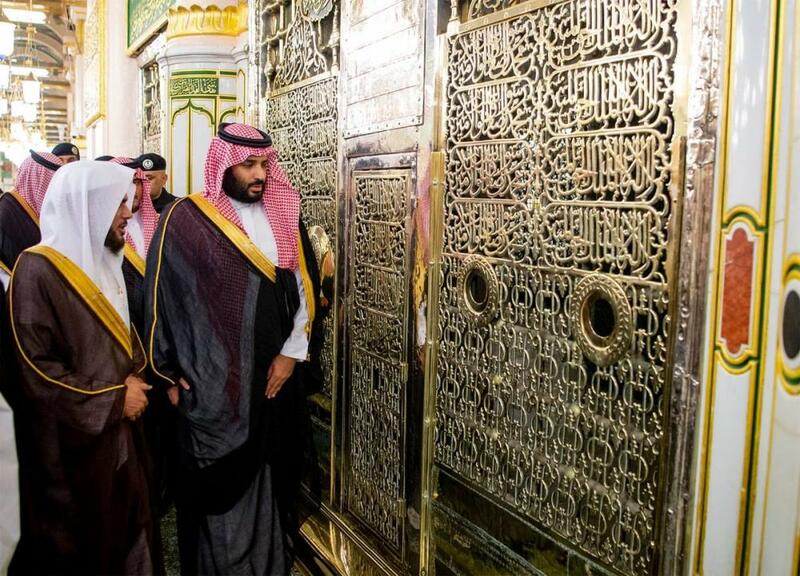 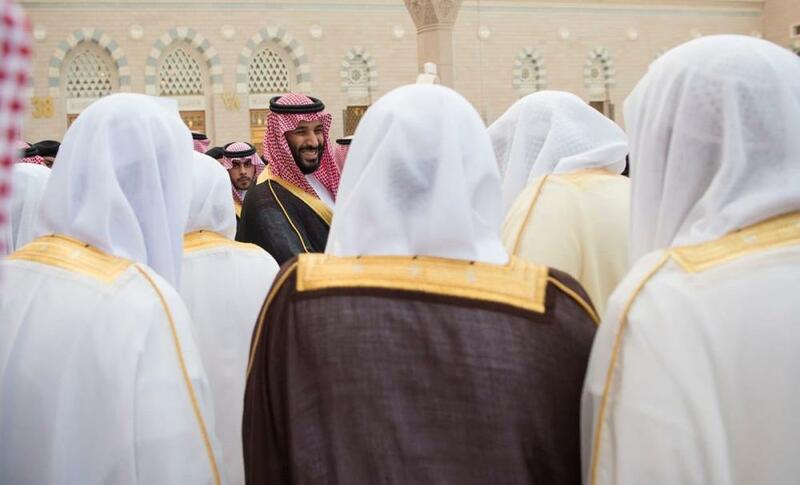 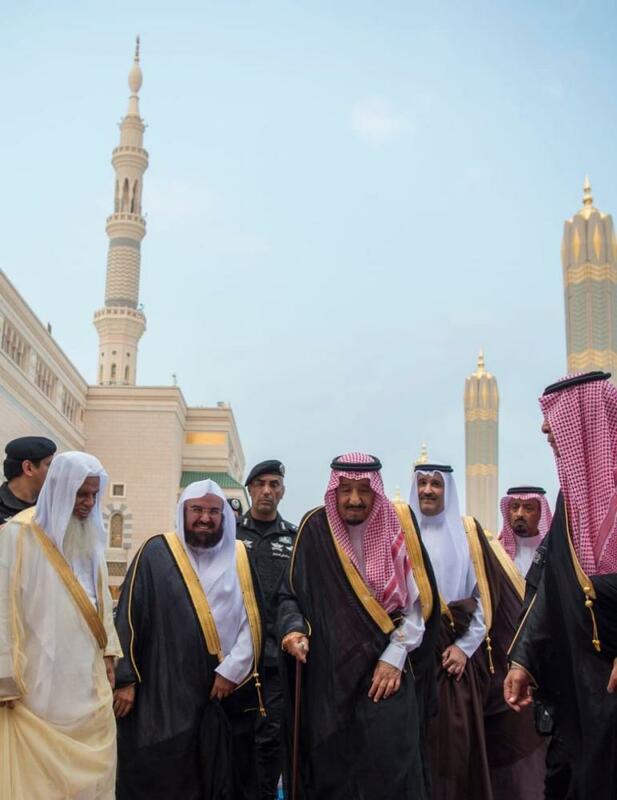 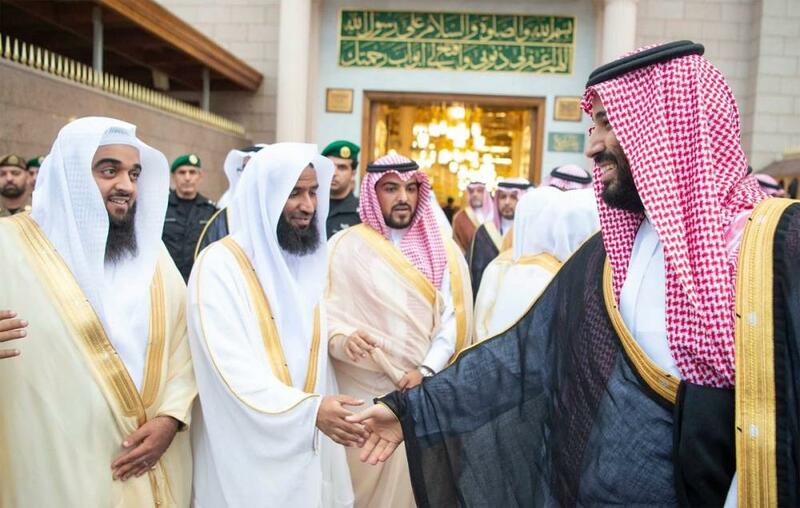 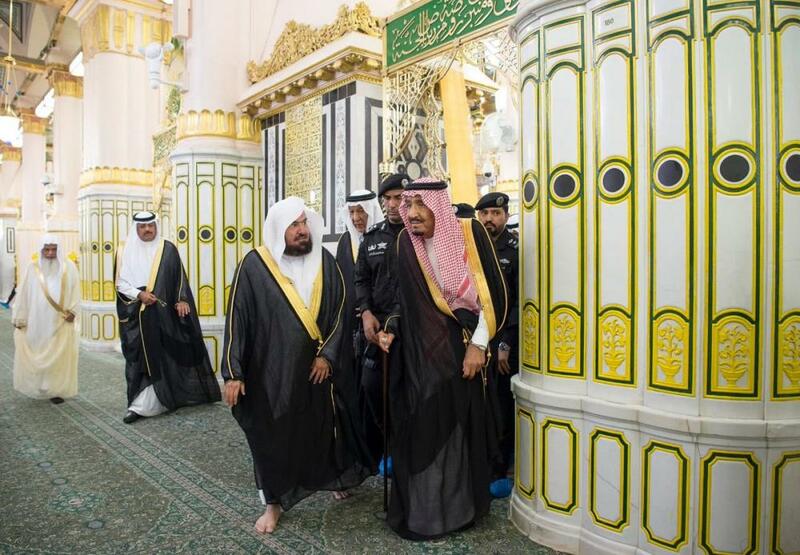 At the mosque, the King and the Crown Prince were received by Sheikh Abdurahman Al-Sudais, head of the Presidency for the Affairs of the Two Holy Mosques, Maj. Gen. Abdurahman Al-Moshhen, commander of the Security Forces at the Prophet’s Mosque, as well as imams and muaddins of the mosque and senior officials.